The most dangerous machine for cutting meat is a bandsaw! 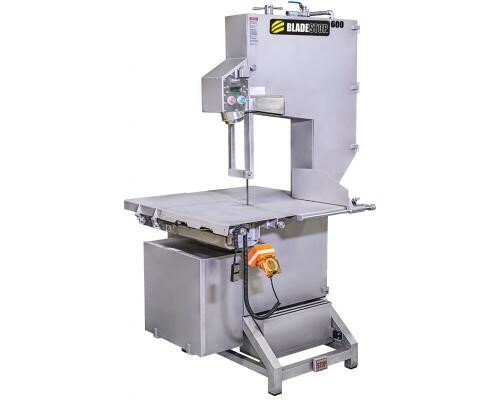 Reduce the risk of serious injury with the BladeStop™ band saw. 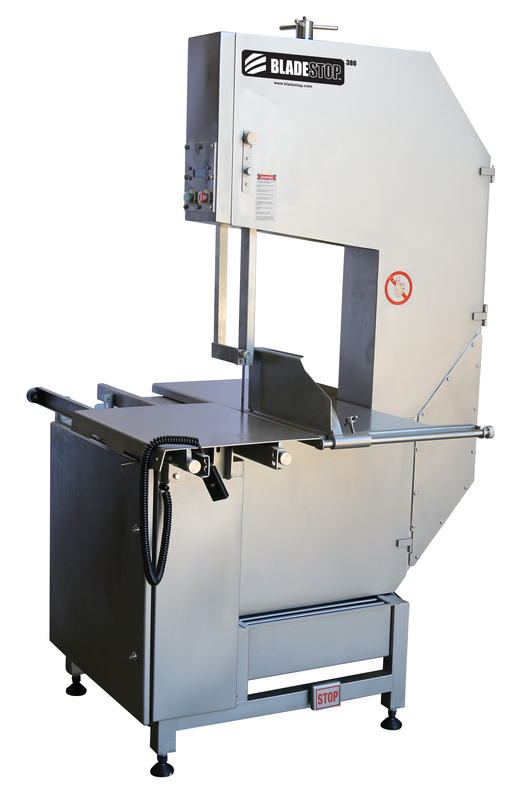 Specially designed for the meat industry to improve safety on meat bandsaw. Protect yourself and your employees from the most dangerous machine in a meat plant, grocery store, or slaughter plant. The BladeStop™ Meat Band Saw reduces the risk of serious injury by stopping the blade within a fraction of a second. The BladeStop™ Model’s 400 and 600 are available worldwide. 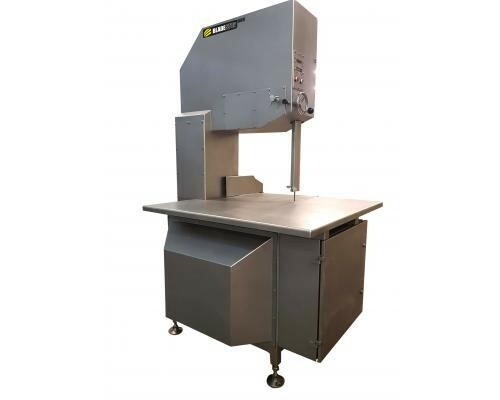 The BladeStop™ Meat Bandsaws are available worldwide and is uniquely designed to reduce the risk of serious injuries and improve safety by mechanically stopping the blade when the unit senses that the operator has come in contact with the blade. BladeStop™ meat bandsaws are available with two sensing methods. Upon sensing contact with the operator, the blade stops operating within 9 milliseconds. This can be a huge difference between having just a small skin cut or an amputated finger. In addition, GloveCheck can also be added which detects the operator gloves moving at high speed in a zone directly upstream from the meat saw blade. This triggers the BladeStop™ mechanism to stop the saw blade within 9 milliseconds. Here is a testimonial from the Safety Manager from Woolworth Meat Co in Australia, “The site has recorded five instances where the BladeStop has significantly reduced the severity of the outcome. Instead of having potential amputations we’ve had some really successful outcomes, we’ve had some minor lacerations, band aid injuries.” Jeff Sabel – Site Safety Manager. Copyright © 2019 RA Maxwell and Associates, Inc.